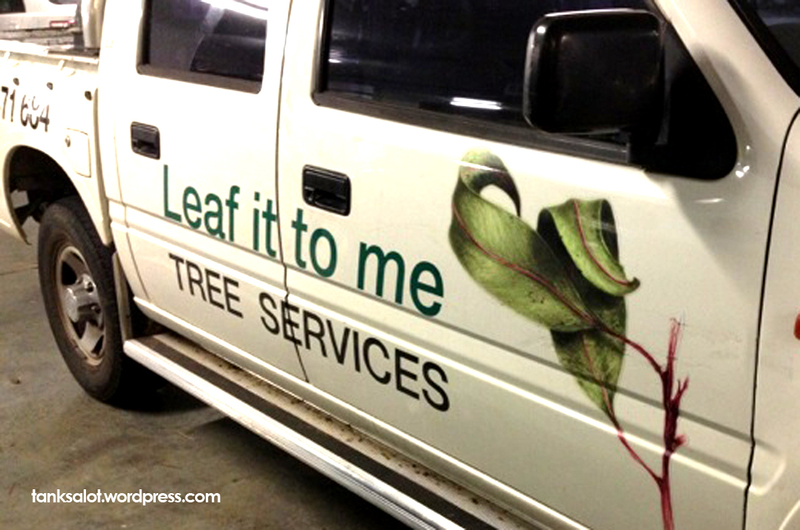 Leaf it to Renata Barbosa to spot an excellent Pun Shop Name for a landscape gardener in Sydney, Australia. Certainly our Optometrist friends love a good Pun Shop Name. As do Thai Restaurant owners. 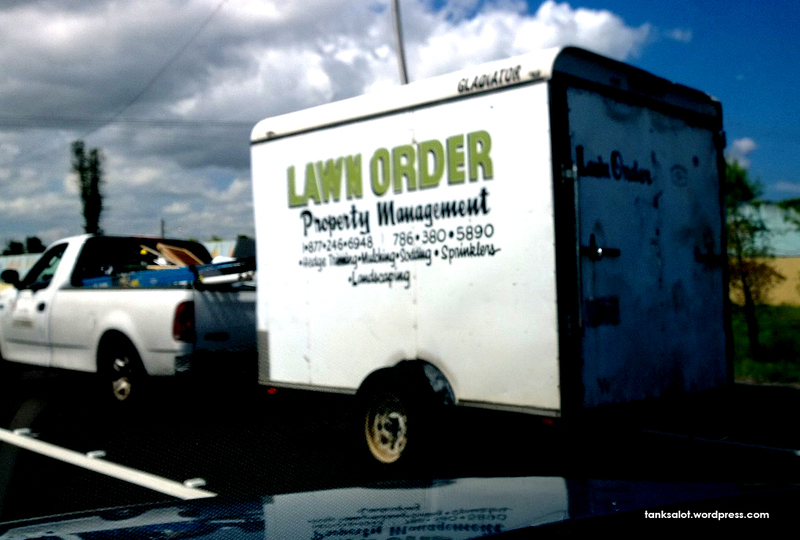 But not far behind them is the humble landscape gardener… who would have thought? 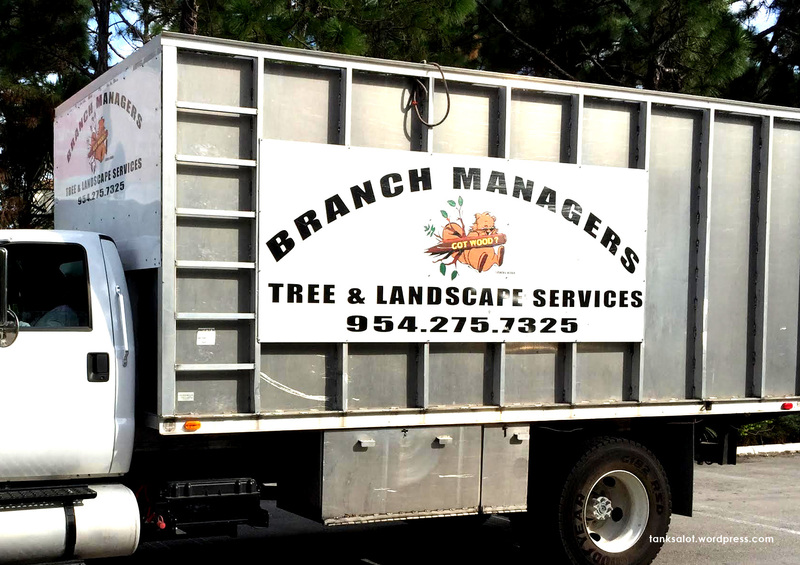 Spotted by Jonathan Schneider in Fort Lauderdale, Florida. 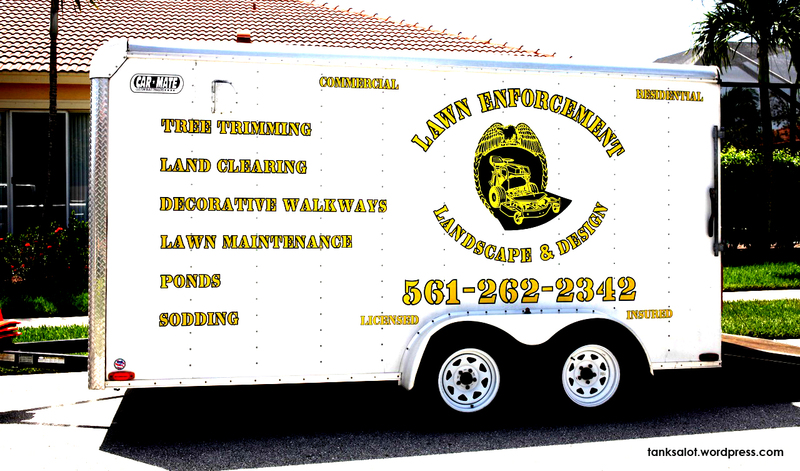 Coincidentally, Jonathan has also sent in Lawn Enforcement. We’re going to lock up this bad boy in the Hall of Fame and throw away the key. Apprehended by Trooper Jonathan Schneider in Jupiter, Florida USA. It’s somewhat reassuring to know that, at least, this bloke has a growing interest in landscape gardening. 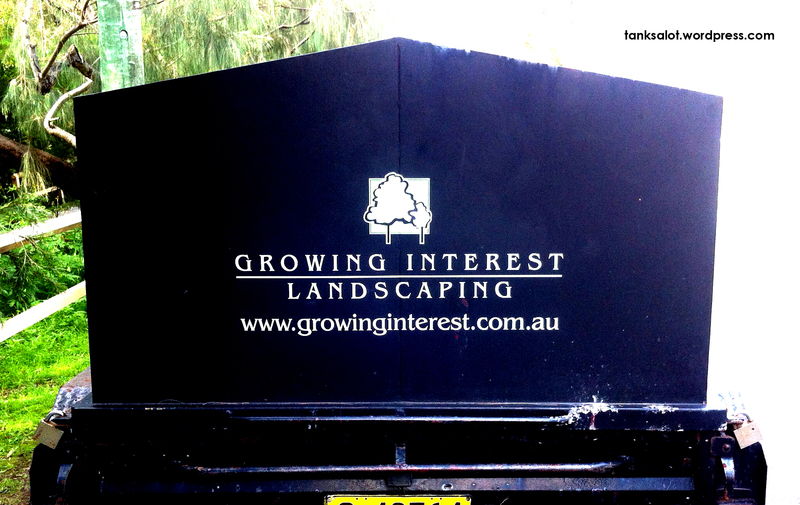 This PSN was spotted by Daniel Foster, somewhere near Cammeray NSW. It’s a pretty good one, actually. 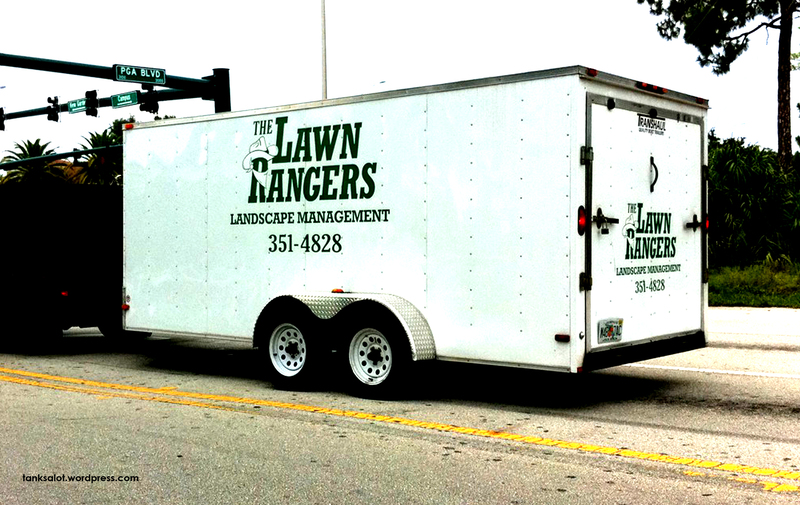 If you need those pesky weeds rounded up, you call The Lawn Rangers. Tracked down by Jonathan Schneider in Palm Beach Gardens, Florida USA. If you like a good cowboy PSN, check out The Lone Drainer and The Loan Arranger. This simple, relevant, funny PSN is an absolute treet. 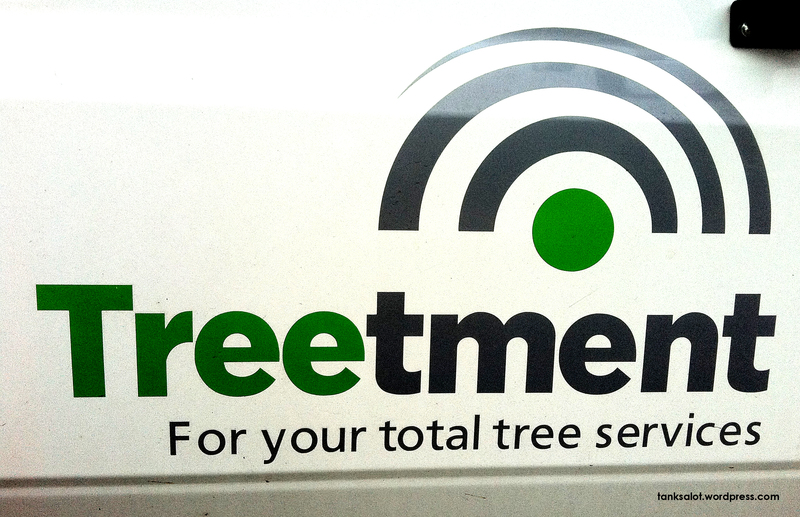 Spotted near Yarraville VIC by David Johnson, who may need some treetment for his blooming Pun Shop Name addiction.